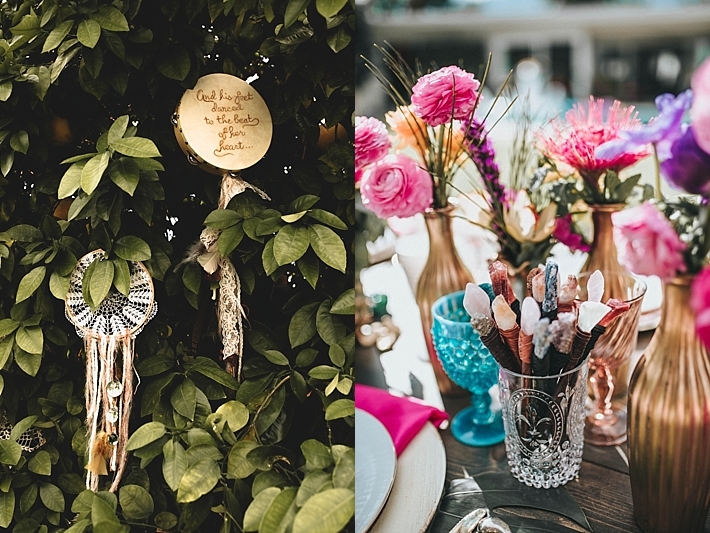 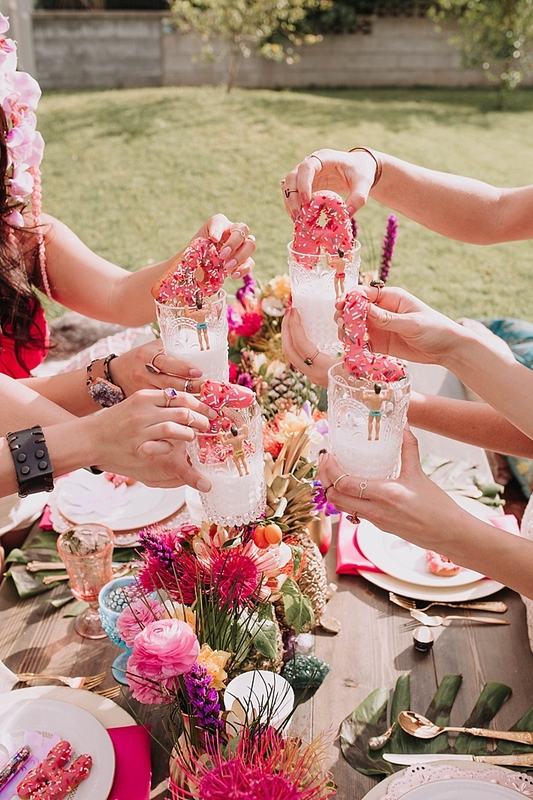 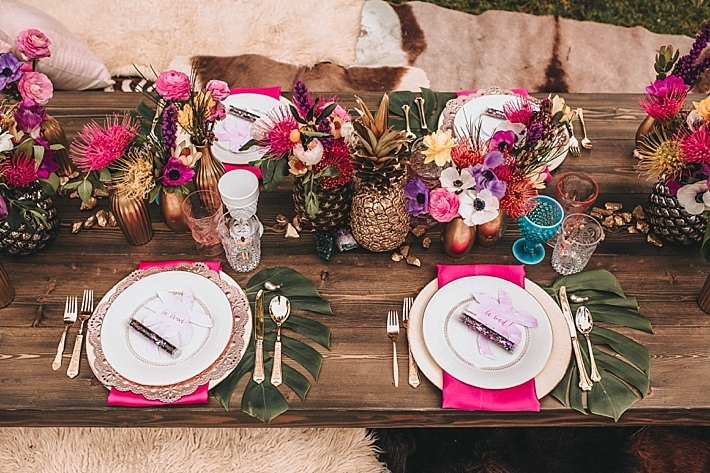 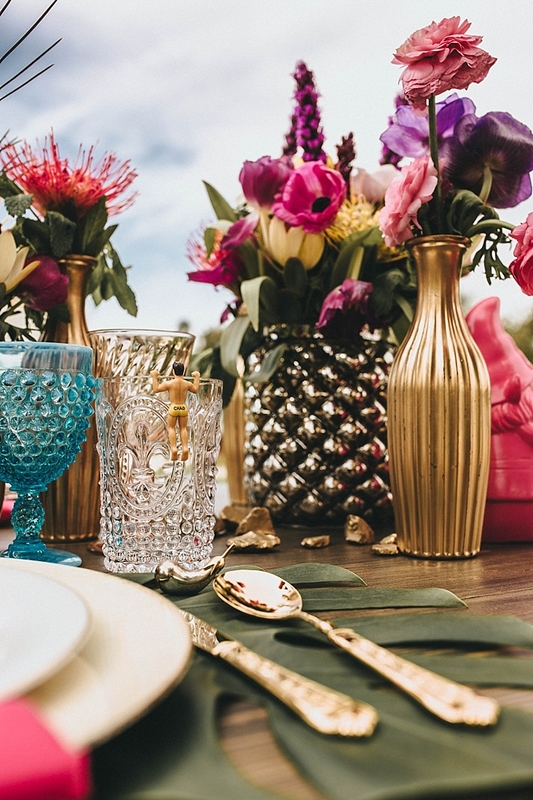 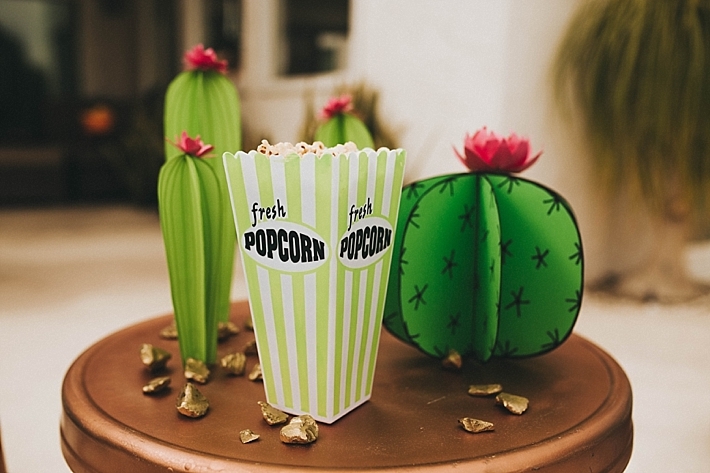 "We wanted to create a fun tropical party with boho vibes, and we realized that Coachella was just around the corner, so we used it as our inspiration! 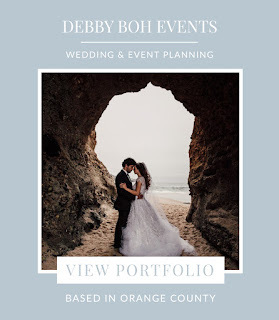 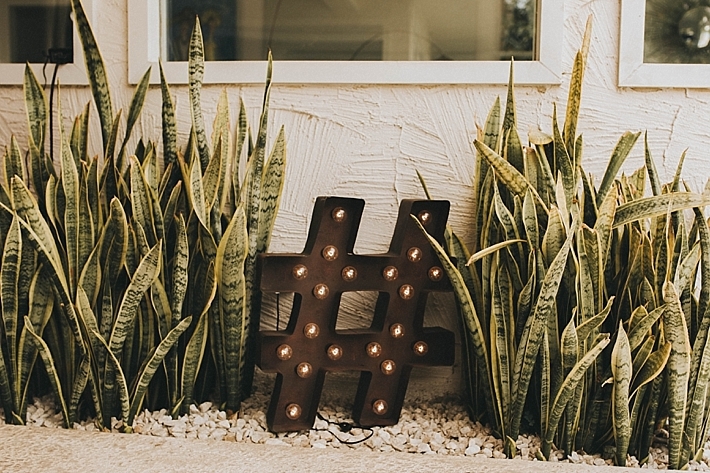 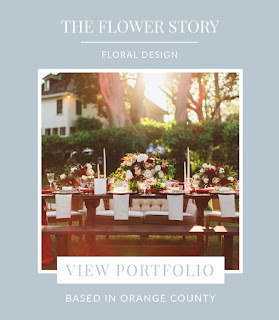 Once we had mentioned our concept to some fellow creatives, we built a team of vendors that were thrilled to jump on board and execute the exciting day. 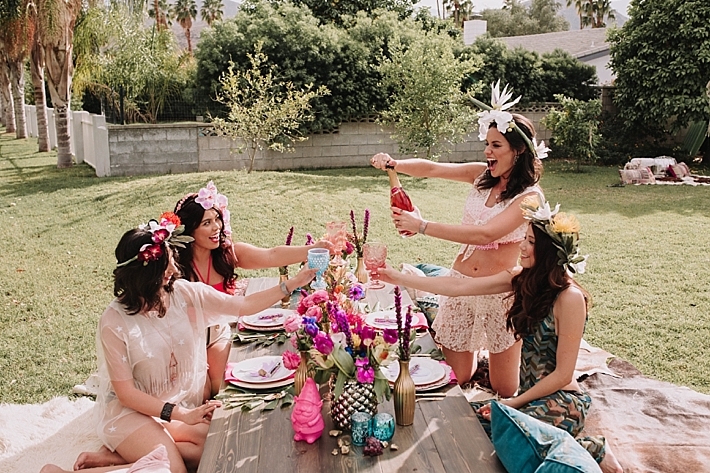 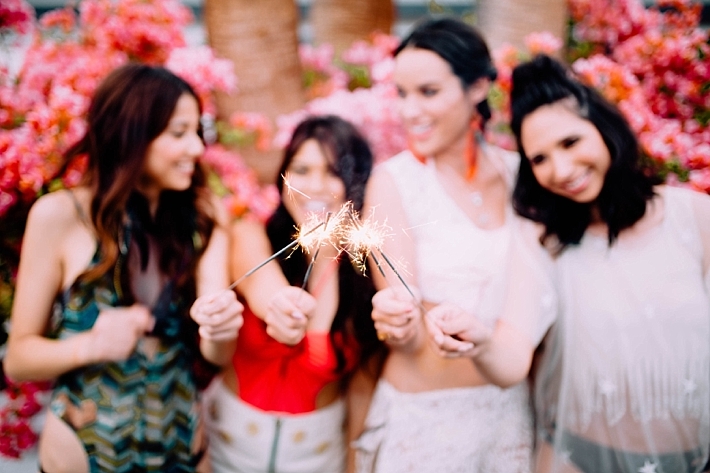 We’ve named this shoot #BachellaParty, meshing “bachelorette” and “coachella” into one. 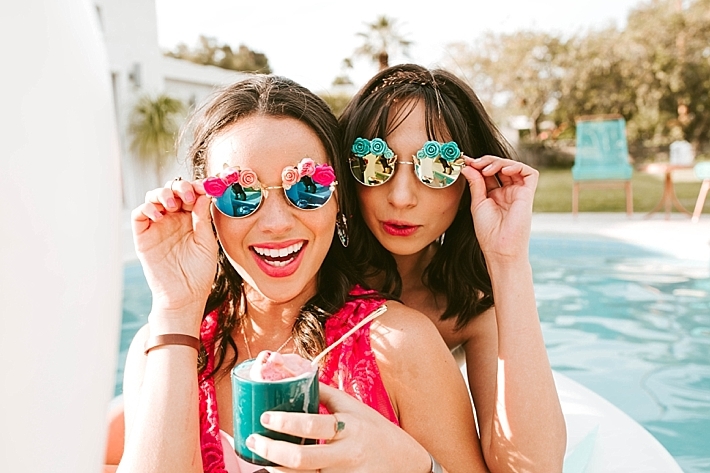 We were most inspired by the care-free spirit of the yearly festival and the boho-tropical-desert vibes surrounding the Coachella Valley. 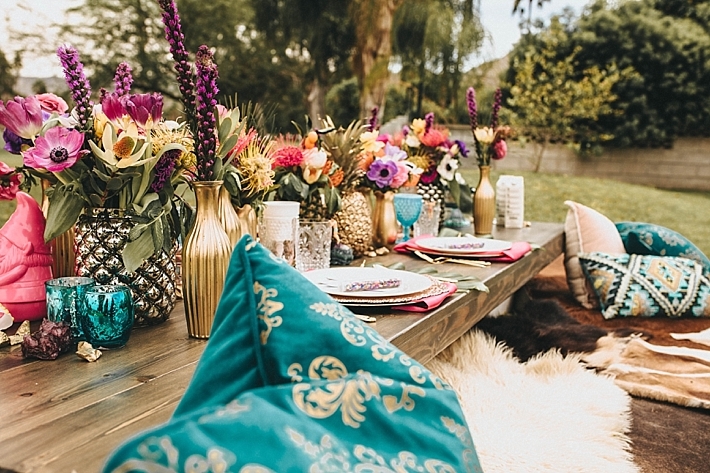 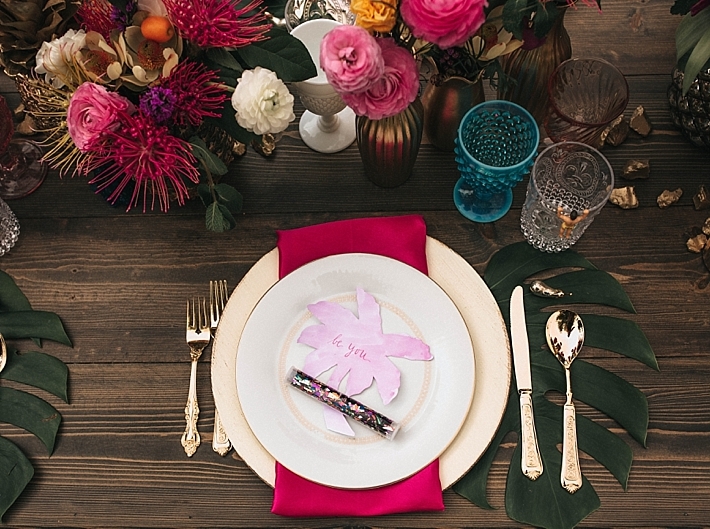 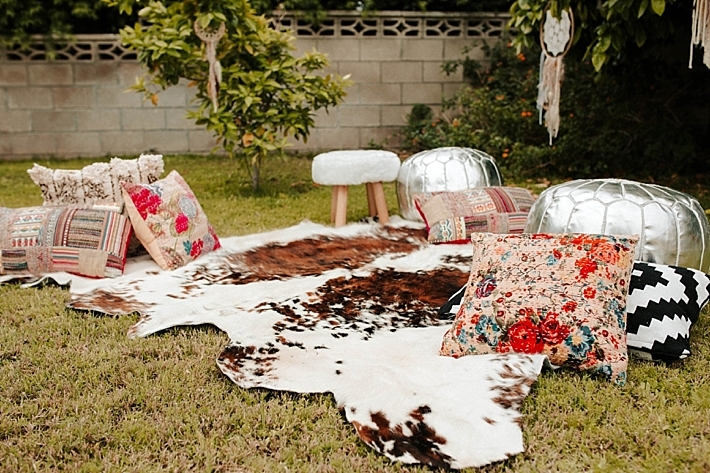 To bring in the boho-vibes, we incorporated a henna station and dinner table-scape, complete with animal rugs, soft pink and teal pillows and delicate dream catchers. 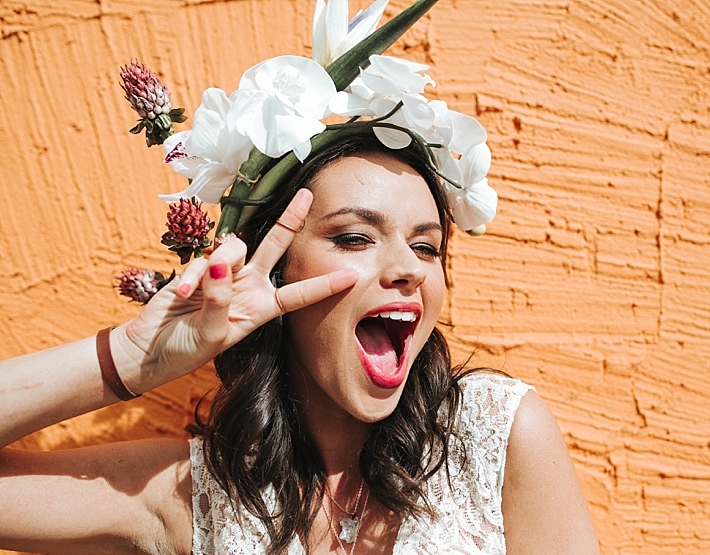 Our makeup and hair artist focused on bringing out everyone’s natural beauty and giving them a glowing bridal-meets-boho look, with pops of color on their lips. 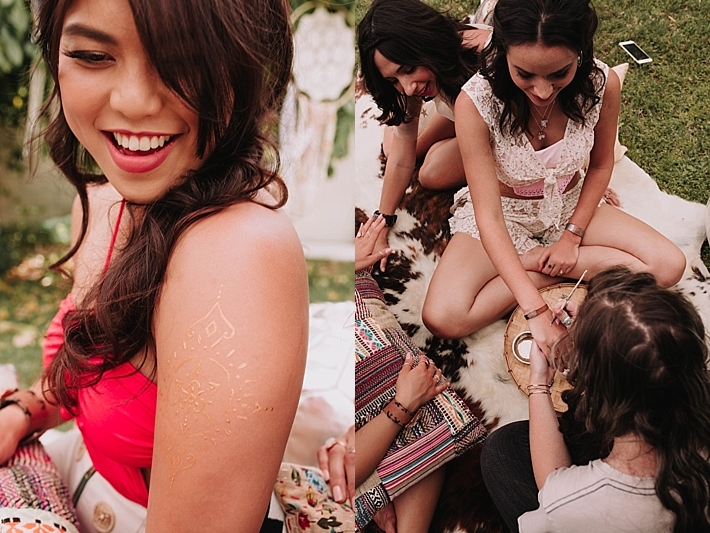 On top of that, our models wore gorgeous geode jewelry from a woman who mines, shapes and molds the jewelry herself! 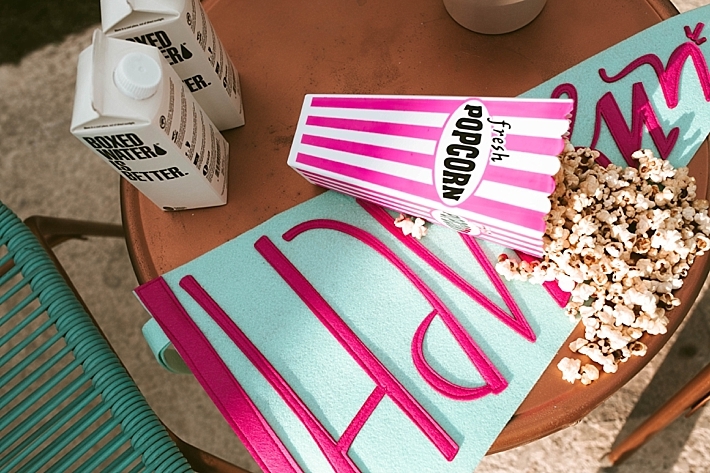 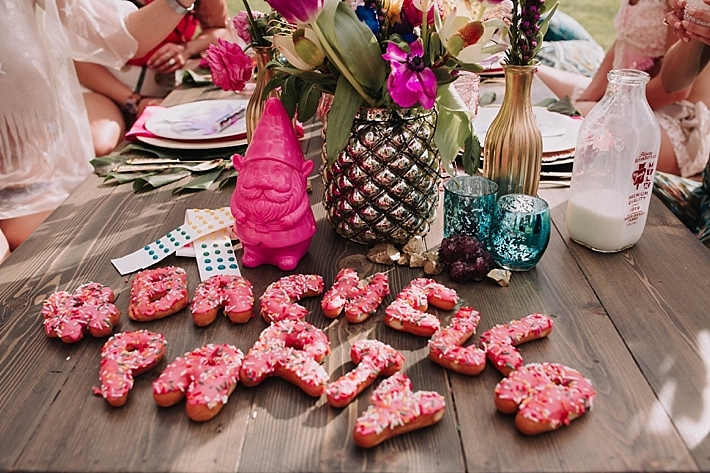 To capture the mood of a music festival, we brought in fun festival style food items, like our #bachellaparty donuts, pineapple-powdered donuts, sherbet ice cream, popcorn, and “boxed-water-is-better” water. 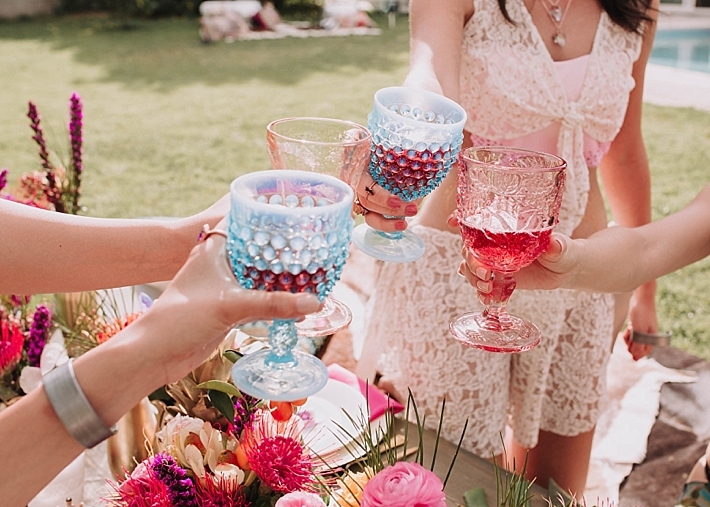 We also had the ladies wear flowered circle shaped glasses that came straight from the French Riviera! 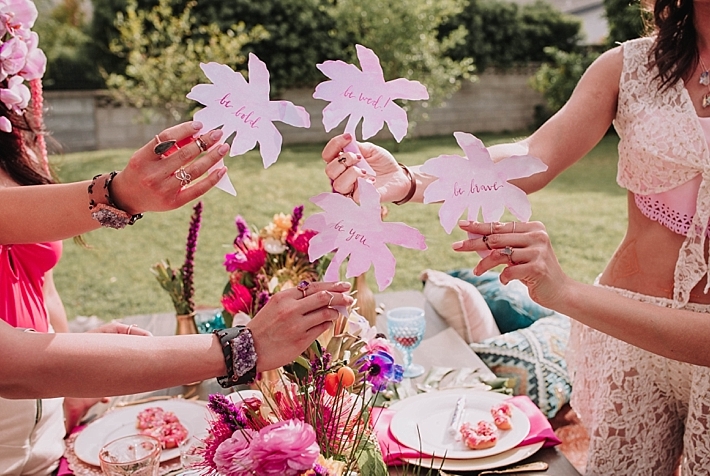 To tie in the gorgeous scenery of Coachella Valley, we had calligraphy on palm tree cut-outs, paper maché cacti, and fun, huge, tropical floral crowns for our ladies. 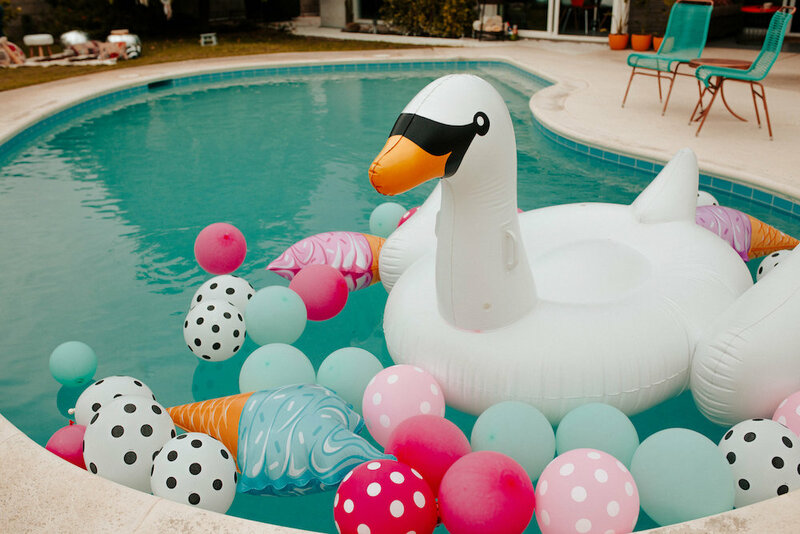 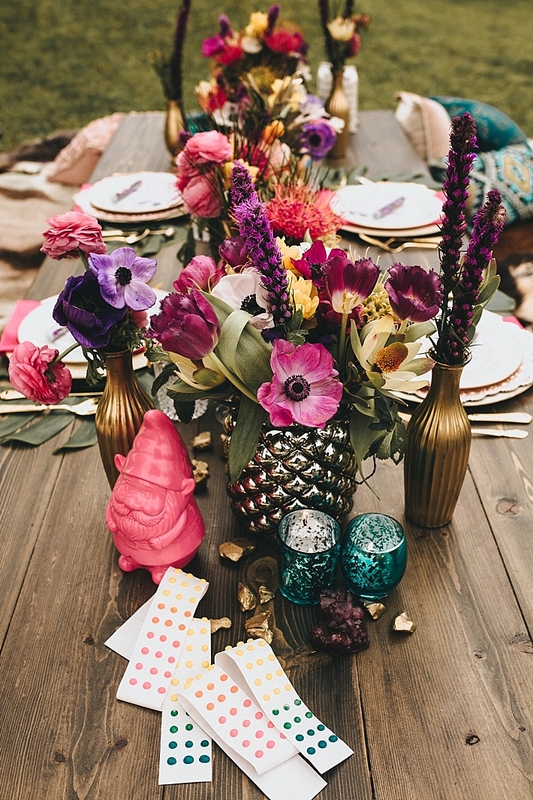 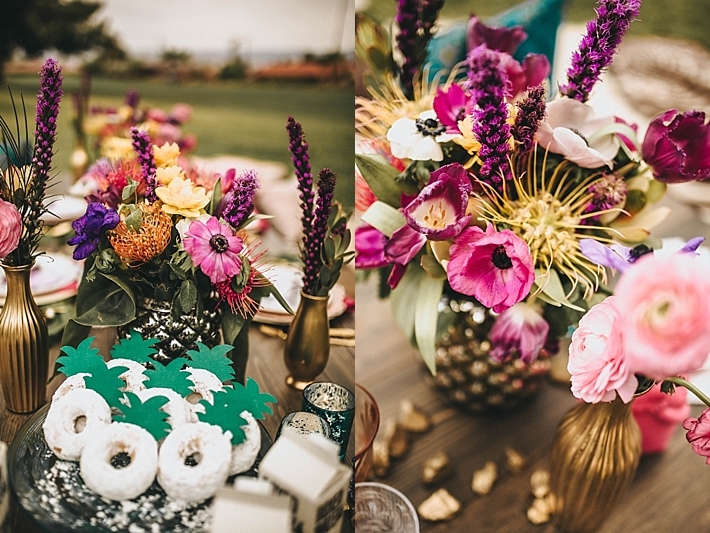 Because Coachella festival goers are so colorful with eclectic style, we incorporated bright pink, teal, purple, and orange into the color scheme, found in the table-scape china and florals, the fun balloons and ice cream floaties in the pool, and with the use of colorful smoke bombs and sparklers!